You Are Here: Home / SOLAR NEWS: Our Blog / Uncategorized / solar power in Crestmead. A bustling and cramped suburb very close to the center of Logan City, Crestmead is the subject for assessment of solar power development in this study. Location – Crestmead is located about 4 miles from Logan City and about 17 miles southeast of Brisbane. It is bordered by Marsden, Logan Reserve, Park Ridge, Heritage Park and Browns Plains. Real Estate – Crestmead is both a suburban setting and in some sections has industrial and commercial parks too. There is almost no land to develop barring some wooded areas in the south of the locality. Almost all the land has been used up either for suburban settlements or for industrial and commercial spaces. The commercial sector of Crestmead is located on the northwestern side and the rest of the areas are tightly packed homes with small lawns and backyards. Real estate is highly sought after as it is very close to both Logan City and Brisbane. The prices are also quite affordable for most homes barring some which have more exclusive potential with larger spaces. Average prices of houses in this locality tend to be around 300,000 dollars as most houses have very little extended yards to offer. However instead of labeling Crestmead as a suburb it should in all fairness be considered part of the city as it is a highly developed area. It will continue to grow and houses will go for higher prices as there is a lot of movement in real estate in this area. This presents good opportunities for solar power in Crestmead. Solar power Potential – There is a fair amount of potential for solar power in Crestmead, especially in the suburban home areas. 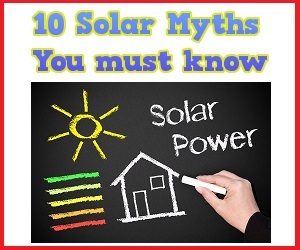 Even with older property occupants there has been a tendency to opt for solar power. With suburban homes there is a huge requirement for cost cutting and solar power although capital intensive initially, makes power generation free withina time span of about 4 to 5 years. This is a huge advantage in this area as newer people moving into this locality would want some solar power already included and older homes will switch in order to reduce their power and utility bills. For the commercial establishments the same would apply. However if they are into power intensive operations then it might not be financially feasible. For other purposes like office work lighting, IT related functions, office work spaces it would make sense to go for solar power. It is important that solar power in these sections be promoted as well. Suburbs like Crestmead do put a lot of strain on the local areas if too many of them add up, but due to the overproduction of power in southeast Queensland it’s not the case. That in itself is another problem as over capacity means burning more fossil fuels than necessary and releasing harmful emissions which don’t contribute to growth or business. Thus, it is of utmost importance that solar power be developed and encouraged in areas like Crestmead to reduce the power generation from coal and gas burning to a minimum and in effect stop the wastage of resources and stem climate change.